Joke Horrible Finger is a hollow rubber finger which slips over your own. 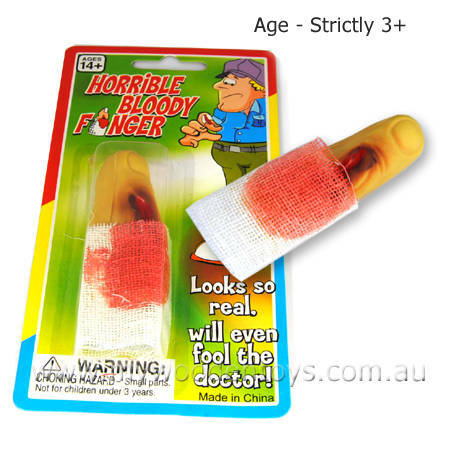 It comes complete with bloody bandage. This is a great practical joke and an ideal way to scare friends, especially effective on grandparents. We like this because: "So much fun"